In Florence, Italy, of course! Le Botteghe di Donatello is a godsend. While on a Mediterranean cruise, we had a day stop in Florence - and I had to have Gluten Free Pizza in Italy!! I am ecstatic to have found this delicious magical place. They have indoor and outdoor seating - outdoor is more scenic and fun so we sat outside. What's amazing is on their outside gigantic menu, is a BIG MENU GLUTEN FREE sign!! I was so thrilled to see it I took a picture with it! Restaurants in Italy take gluten free seriously. I was really psyched to have gluten free garlic bread. I asked for the type of bread used and they brought the box to me. PanFette is delicious. PanFette is a regular staple in Italy, easily found in grocery stores, but, I don't believe its made its way to the US yet. Look who delicious the bread looks with oil and garlic! Add some Parmesan cheese and you have sheer perfection!! Next up, margarita pizza. YUM. Thin perfect crust, great sauce and perfect amount of cheese = perfect, perfect, perfect. Not oily and greasy and gross, instead the perfect thin crust and perfect amount of oil on top. Can't wait to get back to Florence, for the leather shopping and the pizza! As you can see, it was to die for and gone quickly. Next up, Gelato!! We found Festival Del Gelato and I was immediately in heaven. Feels like hundreds of flavors. So many to choose from! Best of all?!? Cono Seza Glutine!! Note that the cones are individually wrapped! I chose the dark chocolate, and was really happy I did. So rich, so chocolaty, so decadent. Gluten free garlic bread, pizza, and gelato on a gluten free cone. Yes, Florence is incredibly romantic and I'll fantasize about this terrific day for the rest of my life!!!! 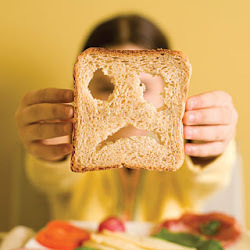 Just diagnosed with Celiac. I live here in Miami and was going crazy because of an upcoming cruise to the med as well. The cruise will accommodate the gluten free but I was worried about eating in Italy! Love your blog. Thanks for the post. Gluten Free Rice Krispies Treats!